Argentina has suffered just about every imaginable national crisis: financial and banking collapses, hyperinflation, military coups, defeat in international war, attacks by terrorist guerrillas. We’ve “seen this, done that” becoming pioneers in coping with them all. In 2001/2, during Argentina’s worst financial collapse our people noisily took to the streets with the “Cacerolazos” – noisily banging pots and pans demanding solutions from the Government. Since then many other countries like Spain and Greece are doing the same. Now, on Thursday 8th November, Argentina started a new form of protest: the Global “Cacerolazo”. 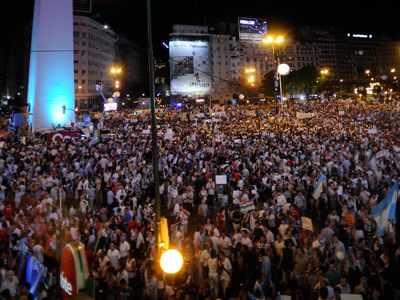 Actively planned and coordinated through the opposition media and social networks, “8N” resulted in 1.5 million people taking to the streets of Argentina to protest against the gross corruption, governmental mismanagement and flagrant irresponsibility of President Cristina Kirchner’s government. It took on a global character as tens of thousands of Argentine expatriates in dozens of foreign countries also protested. Not only did citizens bang their pots and pans in the streets and squares of Buenos Aires, Córdoba, Rosario, Mendoza, La Plata, Tucumán, Salta, and just about every other city and town in the country; noisy crowds also gathered in front of Argentine embassies and consulates in London, Paris, Madrid, Barcelona, Melbourne, México, Montevideo, Rome, Munich, Miami, Washington DC, Boston, Sidney, Bogotá, Stockholm, Tokyo, Milan, Montreal and many other cities around the world. Middle class concerns center on a handful of key issues and complaints: a dramatic rise in violent street crime, flagrant government lying regarding galloping inflation, Cristina Kirchner’s authoritarian style and, of course, rampant corruption. People have become weary of corruption scandals at the highest levels of government. Public Works Minister Julio De Vido, for instance, is at the center of a scandal accusing him of running a system of bribery in public work contracts. When former Economy Minister Roberto Lavagna publicly accused De Vido, then president Néstor Kirchner promptly fire him… Lavagna, that is!! Vice President Amado Boudou, in turn, is under investigation for shady dealings through front-men in his take-over of a major currency printing company, Ciccone Calcográfica, which the government continues to award multimillion dollar contracts to print Argentina’s currency (in ever-increasing demand due to inflation!). But the gem in the Kirchner Crown of Corruption and Fraud involves President Cristina Kirchner herself: the almost complete disappearance of hundreds of millions of dollars in public funds in her native Santa Cruz province in the Patagonia region, at the hands of her deceased husband, former President Néstor Kirchner back in the early nineties when he was Provincial Governor. In 1992, Governor Néstor Kirchner and Provincial Deputy Cristina Kirchner intensely lobbied for President Carlos Menem and his Economy Minister Domingo Cavallo’s plan to sell the state oil giant YPF to Spain’s Repsol (probably a front for Britain’s BP). As a reward for Kirchner’s services to Menem, in 1993 Santa Cruz Province was paid by the federal government $654 million in long-outstanding royalties owed by YPF. 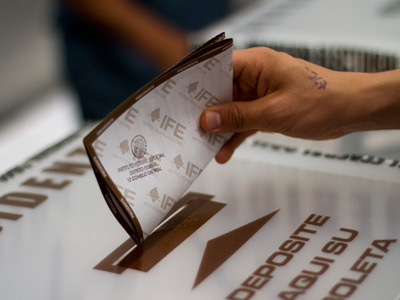 Thus those federal funds became provincial funds, which Kirchner immediately expatriated. Today, almost 20 years later, no one knows exactly what became of that money. We do know that it passed through several tax havens including the Cayman Islands. We do know that when Néstor Kirchner became President in 2003, he finally admitted that those hundreds of millions of dollars were deposited with global mega-banks Morgan Stanley (Luxembourg), and UBS and Crédit Suisse (Switzerland), two tax havens known for their strict banking secrecy. We do know that, in line with Kirchner’s sloppy management of public funds, they unwittingly admitted that Santa Cruz’s money was deposited in the “Private Banking” departments of Credit Suisse and UBS. Which led to a key question being asked: Why were hundreds of millions of dollars in public funds deposited in the private banking department of those two Swiss banks? Inquiries determined that these banks’ “Private Banking” departments manage funds for “very wealthy individuals”. That led to further questions: In whose name were those bank deposits? Néstor and Cristina Kirchner? Some other front man? In turn, the people of Santa Cruz who for years suffered economic and social hardship continue to wonder why their public funds were not put to good use financing local housing, health and job-creation in their province, but rather put to serve European financial circles to the specific benefit of the Swiss and Luxembourgers. To try to get to the bottom of this scandal a civil lawsuit was filed against Néstor Kirchner and his helpers in a Buenos Aires District Federal Economic Crimes Court in May 2004. Represented by Peronist lawyer Juan Gabriel Labaké, the Plaintiffs appealed to the Public Ombudsman, the Anti-Corruption Agency, the local chapter of “Transparency International”, and even went up to the Supreme Court of Argentina, but – alas! – they all looked the other way. In Argentina, no one dared challenge the Kirchners. Thus, no transparent and detailed account was ever rendered by the Kirchners regarding what became of that huge amount of money, its interests, commissions and investments. All that is known is that the disappearance of Santa Cruz’s funds coincides with the Kirchner’s meteoric rise to political power that catapulted both Néstor and Cristina to successively become President of Argentina. The personal wealth of the Kirchners, their relatives and key business and political associates rose dramatically: in her recent sworn statement of personal assets, Cristina Kirchner admitted having a net worth of over $ 70 million. When asked how she had managed to amass such a huge fortune with her modest salary as congresswoman and then President, she explained this was the result of her “successful career as a lawyer”. However, she has never been able to produce evidence that she even graduated from Law School, nor evidence of any lawsuit in which she collected substantial lawyer’s fees. Clearly, the roots Néstor and Cristina Kirchner’s personal wealth is one of Argentina’s most closely guarded secrets. The appearance of that vast personal fortune coincides with the disappearance of the public funds of Santa Cruz Province. The people of Argentina are far too tolerant and lenient. After three decades, we have become too accustomed to the catastrophic results of being in the hands of a political caste that specializes in corruption and theft of public monies. 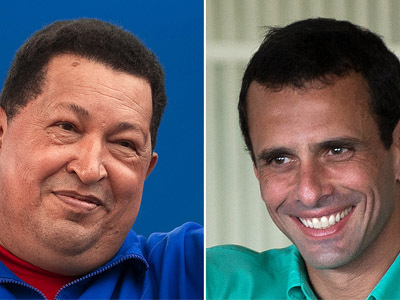 The names of former presidents, ministers and governors are paradigmatic of this: Carlos Menem, Domingo Cavallo, Maria Julia Alzogaray, Eduardo Duhalde, Fernando de la Rúa, Eduardo Angeloz, Antonio Bussi, José Luis Manzano, Julio De Vido… it’s a long, long list! The 8N protesters not only..
Sure, it’s not just about corruption; it’s also about rising street crime perpetrated by huge masses of the structurally poor who are wickedly abused by the Kirchners as a quasi-enslaved subsidized client army who “work” as “militant kirchnerite” foot soldiers. The more violent among these dumbed-down, impoverished elements are controlled by drug-lords and criminals, organized (and armed) into government-sponsored lumpen-storm-troopers, like “Vatayón Militante” and “La Cámpora”; the latter led by presidential son Máximo Kirchner. All in preparation for coming social wars. Other mass complaints: the government’s total falsification in inflation statistics; the almost total foreign exchange prohibition – even for travel to bordering Mercosur trade bloc countries – which is tantamount to a prohibition to leave the country; obscene tax voracity to fund the government’s mismanagement and corruption; encroachment over the press and local media; and systematic attack against anyone daring to oppose Kirchner. Not surprisingly, Argentina’s 8N protest did not show a single banner from any opposition party: just blue-and-white Argentine flags. A sure sign the country desperately needs a new political leadership that is credible, consistent, capable and trustworthy. 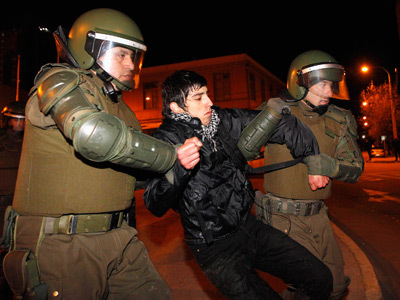 Argentina’s Global “Cacerolazo” might be marking an initial step towards similar protest movements in other countries. Will “we, the people” in every country start merging and pooling efforts to reject their own local political castes, rampant corruption and gross injustice, independent of nationality?